Principal photography is underway in London on Bryan Singer’s 3D action adventure “Jack the Giant Killer,” with Nicholas Hoult in the title role of Jack, for New Line Cinema and Legendary Pictures. “Jack the Giant Killer” tells the story of an ancient war that is re-ignited when a young farmhand unwittingly opens a gateway between our world and a fearsome race of giants. Unleashed on the Earth for the first time in centuries, the giants strive to reclaim the land they once lost, forcing the young man, Jack, into the battle of his life to stop them. Fighting for a kingdom, its people, and the love of a brave princess, he comes face to face with the unstoppable warriors he thought only existed in legend—and gets the chance to become a legend himself. The film-making team includes Singer’s longtime collaborators, director of photography Newton Thomas Sigel (“X-Men,” “Superman Returns”) and editor John Ottman (“X2,” “Superman Returns”). The production designer is Gavin Bocquet (“Star Wars: Episode III — Revenge of the Sith”). 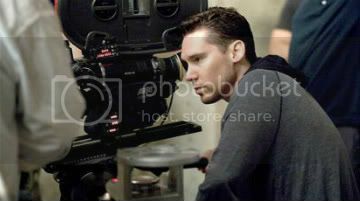 “Jack the Giant Killer” is filming on location in and around London, and is scheduled for a summer 2012 release. A New Line Cinema presentation, in association with Legendary Pictures, the film will be distributed by Warner Bros. Pictures, a Warner Bros. Entertainment Company. ← A New Villain for ‘The Avengers’ Revealed? It’s probably good for him to take a break from superhero flicks, but I wish he was doing something weightier.